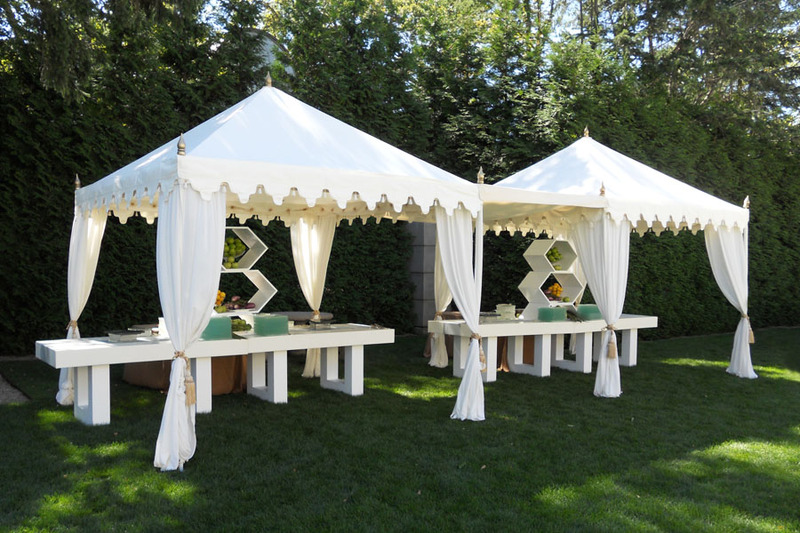 We recently sent out a folder of Bar and Buffet tent images to our Catering Company clients in California, as shown in the gallery of images on this post. 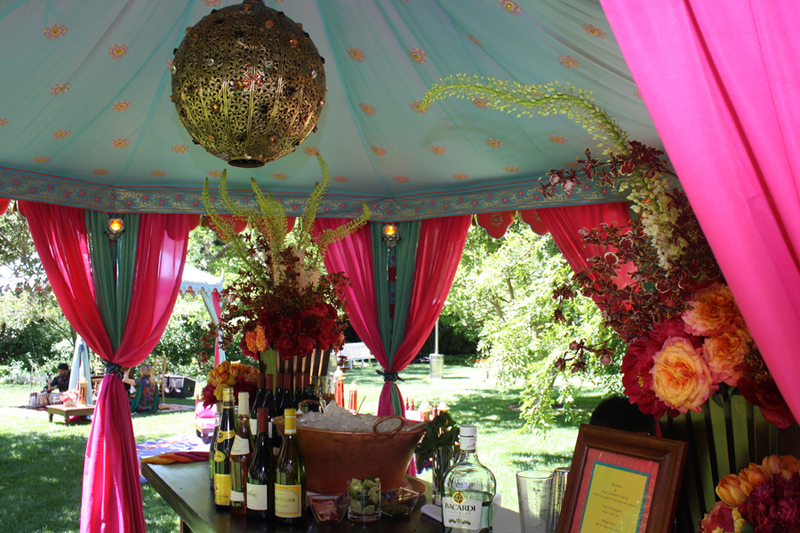 Excellent food, beautifully presented and professionally served, is one of the most important components to a successful party. 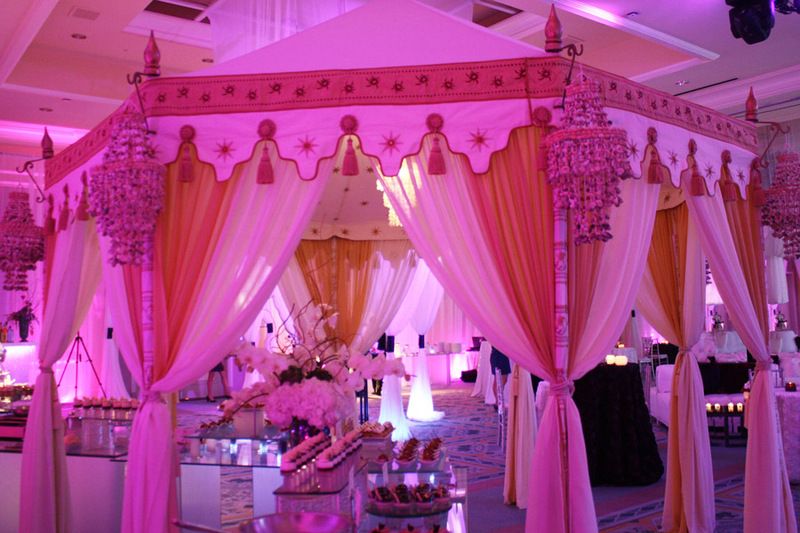 One challenge that we rise to is how to make the Buffets and Bars fit the event – the theme, the aesthetic and the functional needs. 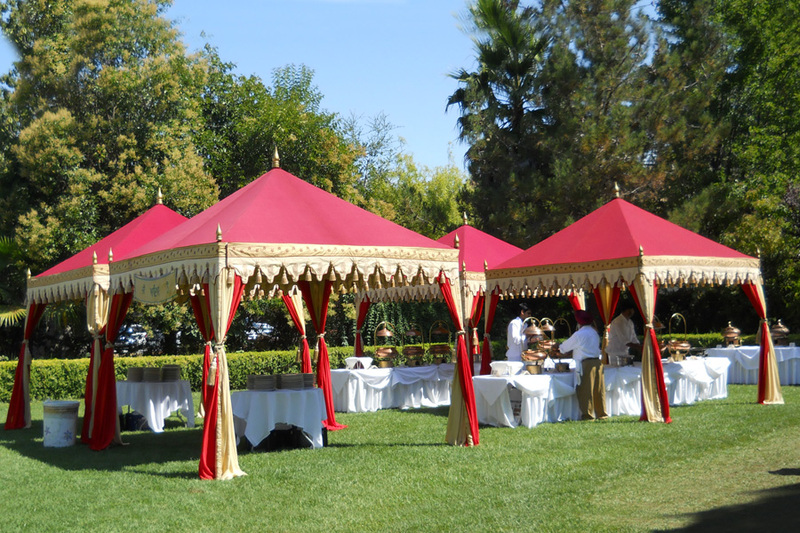 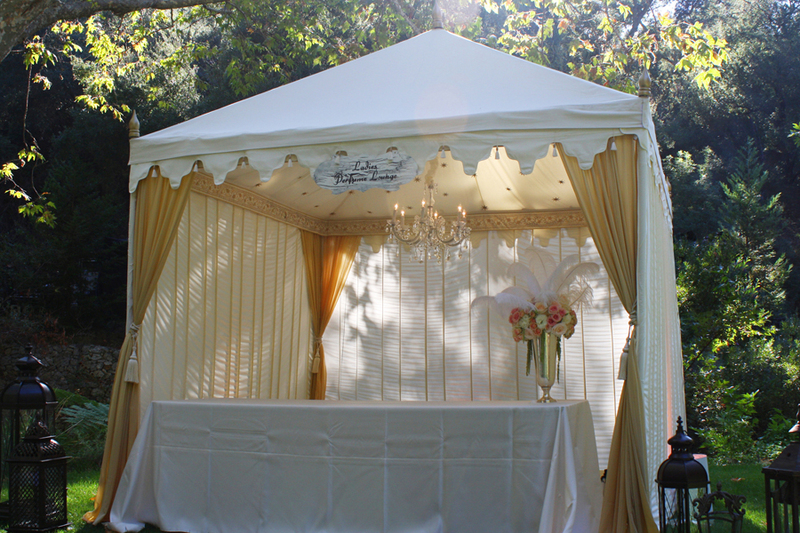 Raj Tents' 10 ft square Pergola is the most popular buffet station tent as it is an ideal size and comes in many color and style combinations. 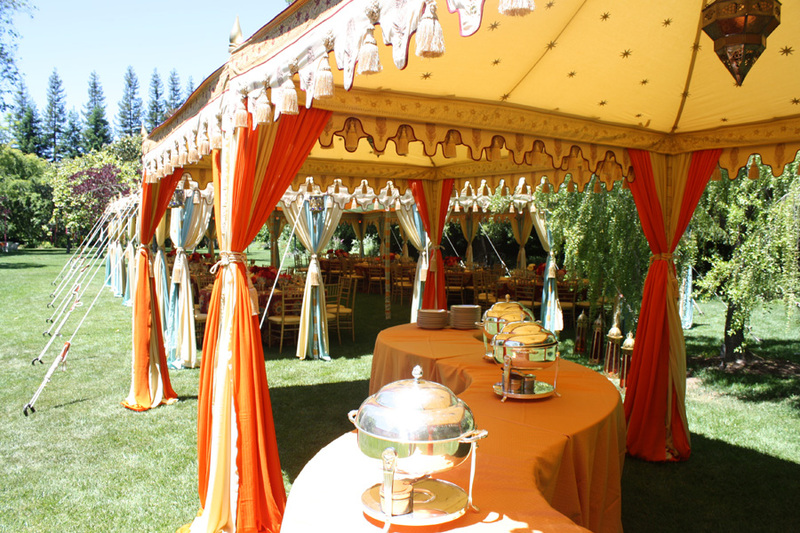 The octagonal Pavilion (13 ft diameter) and its big brother, the Grand Pavilion (20 ft diameter), allow more space and as they are octagonal, they have more corners for drapes and lights. 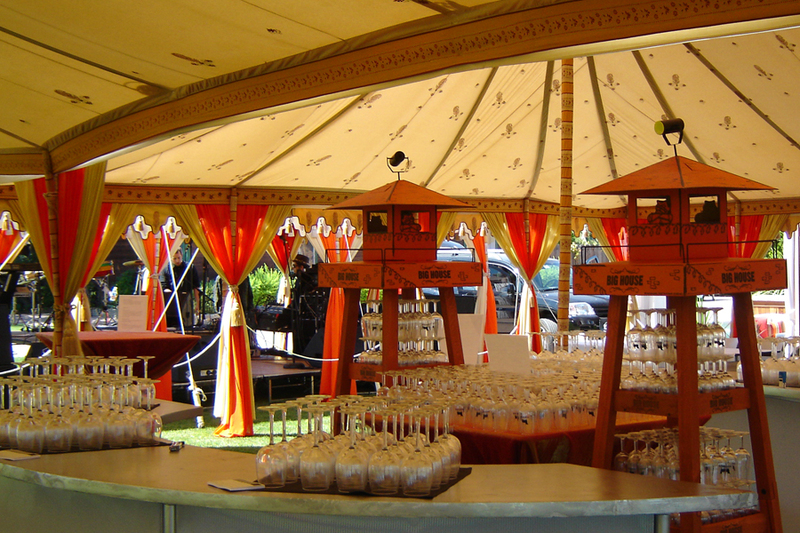 All are on heavy grade stainless steel frames that are self supporting, so they can be set up almost anywhere to frame Buffets and Bars and contribute to the décor and interest of events.